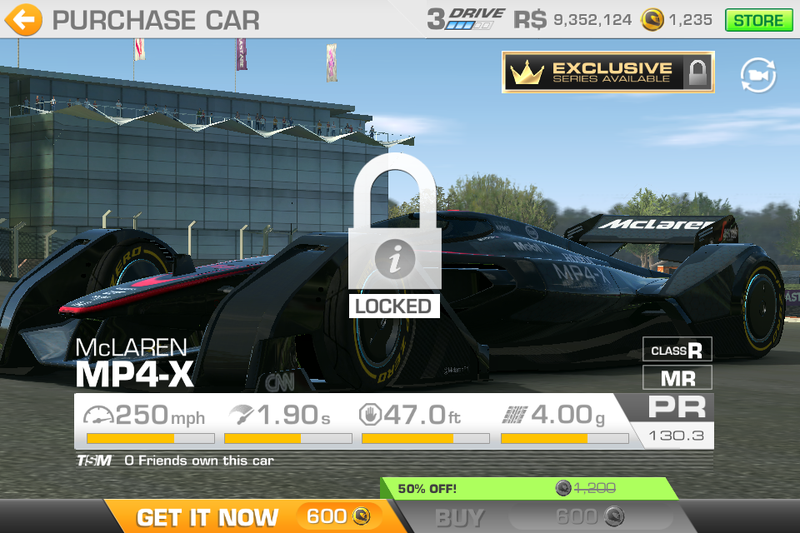 That’s the McLaren MP4-X concept, the highest-rated, most capable car in the game. It’s on sale at half price. My problem is that I only have double the money and I’m still holding out for the day the Viper ACR, BAC Mono, or Super GT gets on next month’s expansion. Also, the price still violates my rule of alotting triple the sticker price before buying a car. On the other hand, I already have complated Stage 1 upgrades, so I have a headstart in the series I unlock with buying it, and considering how powerful that car is in the game, 600G is a screaming good deal. And there’s the complicating factor of an upgrades sale. So, to Tom and Citizens of Oppo, what do you think? Should I buy it or nah? I need at least 12 comments for or against for me to decide. Should I save my money for a more rewarding expansion or should I purchase this commanding racer?